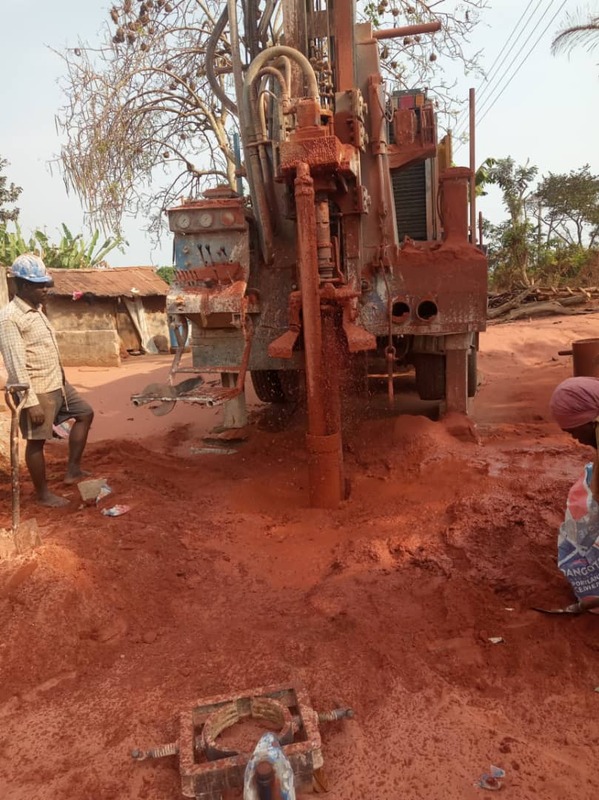 Last week we drilled two new boreholes, which still have to be fitted with pumps. 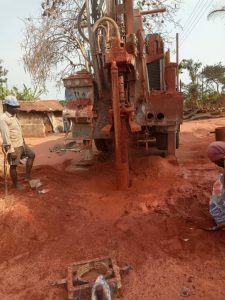 The first was for the village of Saviour Kwamang, sponsored by a Rotary Club. The people have to walk a long long way downhill to get to the nearest stream, and then come back carrying basins of water up a steep slope. It’s about the worst journey to collect water that we’ve ever seen. No wonder the villagers have terrible muscular-skeletal compression in later life. And the second village is Onyameani, which we wrote about recently. The water here is stagnant, and home to various wild life – tortoises and frogs in particular – and the children spend their time going to and from hospital. But no more. The drill rig arrived as it was growing dark, and drilled till midnight before striking water. 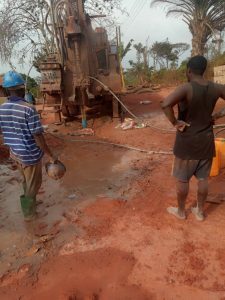 From sometime next week, when the pump will be installed, the villagers will have clean water at last.